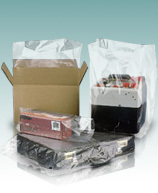 All of our 290 different sized Gusseted Poly Bags offer uncompromising strength, quality & value. 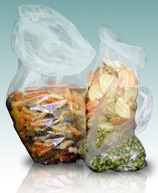 The side gusseted version of industrial poly bags offer all the same advantages of their flat poly bag cousins, but with the added benefit of conformity to items. 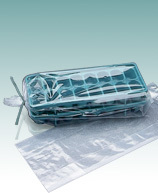 Whether you are using them as box liners, pallet covers, product protection, equipment covers or any of the literal hundreds of other applications, these bags will assist like nothing else on the market. 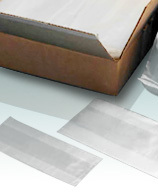 Tamper reduction, shipping protection, product containment and cleanliness are but a few of the advantages offered by this inexpensive packaging solution. 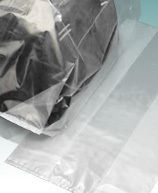 What is an Industrial Gusseted poly Bag? The prefix “poly” is used to name many raw materials of various chemical configurations, but the industry recognizes the lone use of the word “poly” to define products made from low density polyethylene (LDPE) and/or linear low density polyethylene (LLDPE). 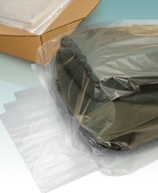 Medium and high densities of polyethylene will always be clearly described on our pages to differentiate them from these more commonly used products. 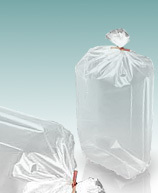 Discount Plastic Bags offers a huge variety of stock sizes listed individually within the categories below, but we also have the ability to provide competitive pricing, low minimums and fast lead time on your custom requirements. Simply contact us for pricing and availability of your custom sizes or large volume requests. 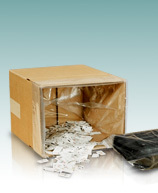 Many customers have saved thousands of dollars by switching to custom as doing so removes the cost of warehousing.